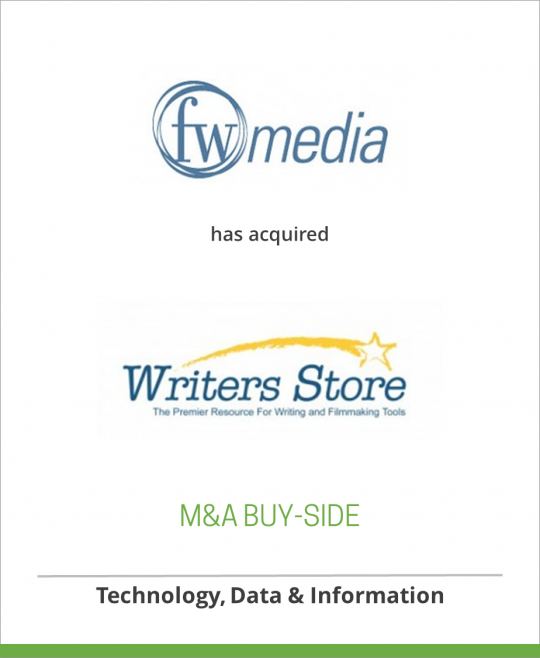 DeSilva+Phillips, Mediabankers client F+W Media, Inc. (www.fwmedia.com) announced today the acquisition of The Writers Store, the largest reseller of third-party writing and filmmaking tools worldwide. The acquisition further cements F+W as the industry leader in serving writers, while expanding its niche vertical Community to promising and professional filmmakers and screenwriters. The Writers Store portfolio includes its eCommerce store www. WritersStore.com, the premier resource for writing and filmmaking tools, specialized educational programs, events, and a retail location based in Burbank, CA.